UPDATED: Fri., March 30, 2018, 9:44 p.m.
SAN ANTONIO – The maddest of Marches is winding down, the college basketball season now headed into April. All those upsets, crazy finishes and stellar performances have brought us to San Antonio, where a Cinderella and its telegenic nun join three power programs in the Final Four. Based on the way the bracket has gone so far, don’t be surprised if there is more madness in store. To get you ready, we have a rundown of the teams, the top players, the coaches and other tidbits about this year’s Final Four. Villanova. The Wildcats shoot 3s like no other, play suffocating defense and have that look – the one they had winning a national title two years ago. Kansas. The other No. 1 seed to get through, the offensively gifted Jayhawks are back in San Antonio, where Bill Self won his only title in 2008. Michigan. Stingy D or raining 3s, these scrappy Wolverines find ways to win. Loyola-Chicago. Sister Jean gets much of the attention, but the Ramblers have rambled into the Final Four with a free-flowing, nothing-to-lose style. Jalen Brunson, Villanova. The Wildcats’ unassuming, unquestionable leader is racking up player of the year awards – and possibly a second national championship. Devonte’ Graham, Kansas. Similar attributes as Brunson, only with an added dash of dynamic style. Moritz Wagner, Michigan. The big German is crafty inside, can step out to hit 3s, can guard multiple positions – a matchup nightmare. Clayton Custer, Loyola. The sharpshooting guard gets mistaken for a nonplayer off the court, and is often the best in the game on it. Cameron Krutwig, Loyola. The burly freshman gives the little Ramblers the presence they need inside at both ends. Malik Newman, Kansas. The athletic sophomore has become dynamic option No. 2 to Graham. Mikal Bridges, Villanova. He and Brunson may be the Final Four’s best 1-2 punch. Charles Matthews, Michigan. 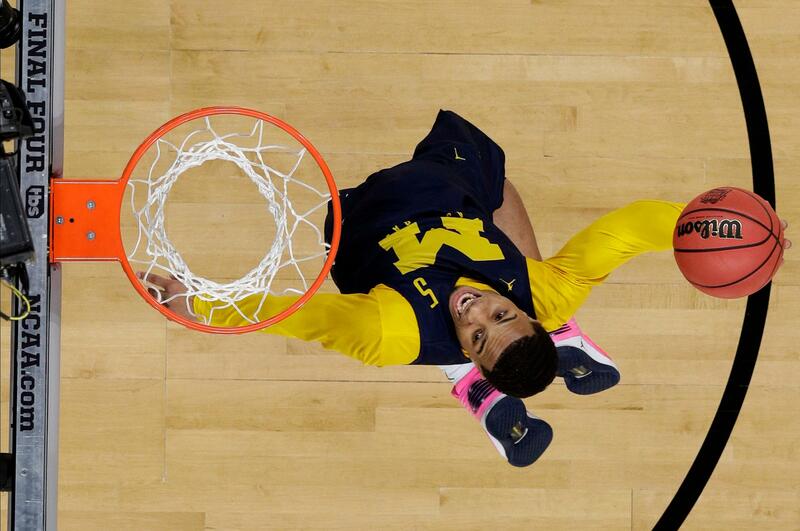 His late-season emergence is a big reason the Wolverines reached San Antonio. Bill Self, Kansas. This may be the best coaching job of his Hall of Fame career. Jay Wright, Villanova. The coolest – and best-dressed – coach in college basketball has changed the game and put the Wildcats in position for a second national title in three years. John Beilein, Michigan. Redefined his team and himself by turning the Wolverines into one of the nation’s top defensive teams. Porter Moser, Loyola. A nation of college basketball fans is learning what everyone at Loyola already knew: Moser can flat-out coach. 4 – No. 11 seeds to reach the Final Four: LSU (1986), George Mason (2006), VCU (2011) and Loyola (2018). 29 – Years since Michigan’s lone NCAA title. 43.2 – Percentage of Michigan’s shots taken from 3-point range. 55 – Years since Loyola’s lone NCAA championship. 77.2 – Shooting percent of Kansas big man Udoka Azubuike, leading the nation. 86.6 – Points per game by Villanova, tops in Division I.
Michigan: Actors James Earl Jones, Gilda Radner, Lucy Liu; H&R Block founder Henry R. Bloch; iPod inventor Tony Fadell; Walgreen’s founder Charles Walgreen; playwright Arthur Miller; Nobel Prize winner Stanley Cohen; singer Madonna; NFL player Tom Brady; MLB player Derek Jeter; President Gerald Ford. Villanova: Actors Bradley Cooper and Maria Bello; country singer Toby Keith; singer Jim Croce; second lady of the United States Jill Biden; Pennsylvania Gov. Ed Rendell; Connecticut Gov. John G. Rowland; NFL Hall of Famer Howie Long. Kansas: Actors Paul Rudd, Jason Sudeikis, Scott Bakula and Mandy Patinkin; NBA Hall of Famer Wilt Chamberlain; NFL Hall of Famer Gale Sayers; Kansas Sen. Bob Dole; FBI Director Clarence Kelley; basketball inventor Dr. James Naismith; golfer Gary Woodland. Loyola: Actors Bob Newhart, Leslie David Baker and Jennifer Morrison; Chicago Bears owner George Halas Jr.; Chicago Cubs owner Todd Ricketts; Disturbed singer David Draiman; Smashing Pumpkins and Perfect Circle guitarist James Iha; Dr. Scholl’s founder William Scholl; U.S. Secretary of Commerce William M. Daley. Published: March 30, 2018, 7:53 p.m. Updated: March 30, 2018, 9:44 p.m.